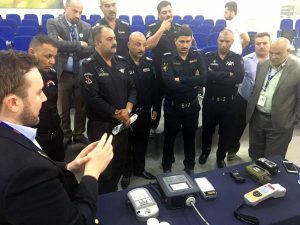 MAY 2, 2018 (BAGHDAD, IRAQ) – Federal Resources, the premier single-source provider of customized, integrated solutions to military (Foreign Military Sales) and civilian (Direct Commercial Sale) CBRN incident response teams served as this year’s co-chair of the Iraq 3rd National CBRN Security Coordination Conference held in Baghdad, April 16-19, 2018. This is Federal Resources’ second year participating in the annual conference and is in support of broader Iraqi and U.S. Government (USG) efforts to prevent the proliferation of sensitive or weaponizable CBRN materials and mitigate the use of CBRN WMDs in the Middle East North Africa (MENA) region. Due to ongoing engagement with Iraqi security and response communities, on-the-ground accessibility, and strong relationships with key partner nation leaders, Federal Resources is uniquely positioned to provide sustainable and critically needed CBRN technical solutions and interoperability strategies tailored for unique threats, environmental considerations, and available resources. To find out more about Federal Resources International activities, experience, and country/regional presence, please contact international@federalresources.com.